Tired of the shopping mall? 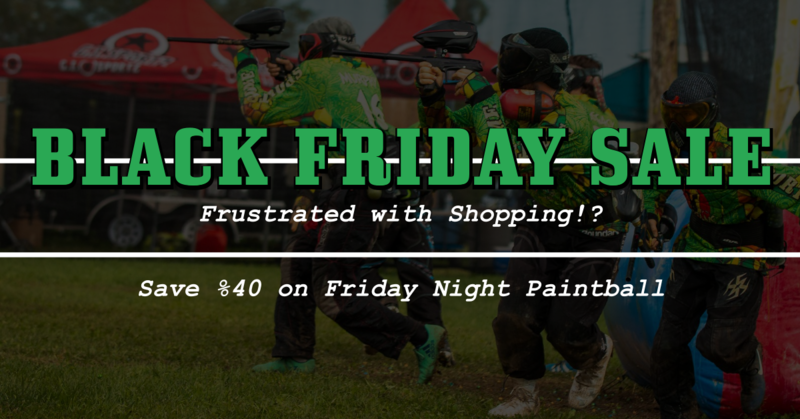 Come and wear off some frustration tonight at the SportsDome during Friday Night Paintball. Beginners play from 6-8pm and Intermediate players from 8-10pm. And since its Black Friday, save %40 on your regular entry. Thats 2 hours of paintball for only $25 taxes inc.